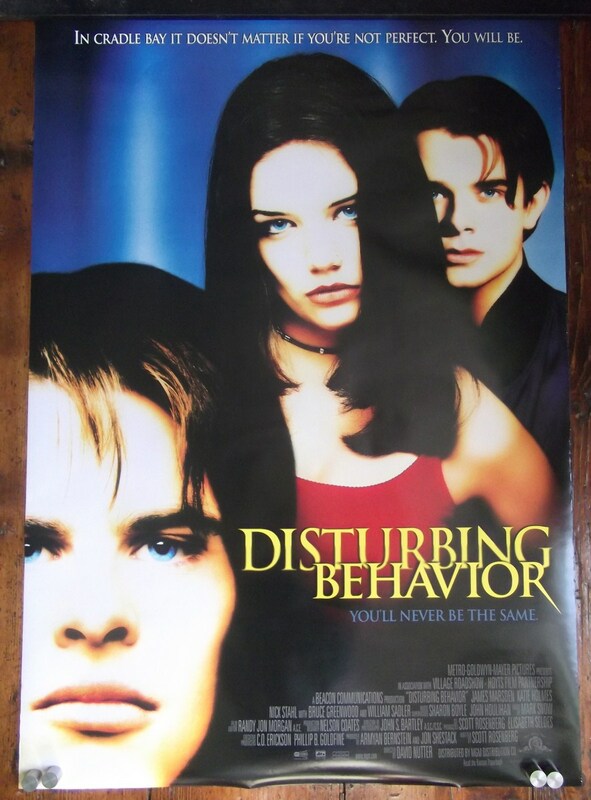 Film Description: Disturbing Behaviour (1998) Sci-Fi Horror directed by David Nutter and starring Katie Holmes, James Marsden and Nick Stahl. Added Info: Cool image of Katie Holmes. Overall Condition: Fine ,measures approx 27" x 41"